Cannot comment on longevity as only owned a few weeks but it seems very well built & I can fit a surprising amount of kit in it (2 bottles of wine, x4 beers, lrg bag of crisps & 48 Chicken Nuggets) so does what I need! A high vis waterproof cover would be a nice addition for the price for heavy downpours hence 4 stars. 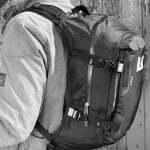 Not particularly large and expensive for a small rucksack, in my opinion, but it is very high quality and I imagine it will last a long time. Perfect with the additional back protector fitted (although another £50! ), which means I no longer need one in my jacket. I would buy this again. Well worth it if you have the cash. Ordered the r30 initially which was too big for my commuting needs. Sportsbikeshop usual great service, returned and ordered the r20. As previous reviewers, the weight carried off the shoulders is ideal. 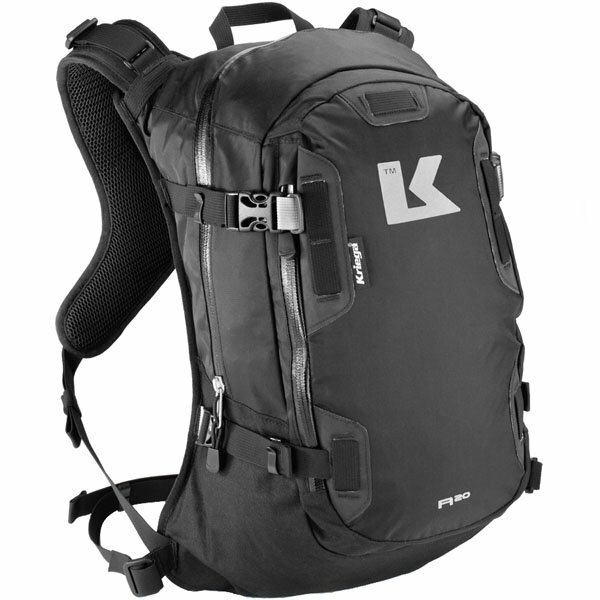 The 20l is more than ample for my needs, comfortable, practical and weather proof. More than pleased with it, 2nd piece of kriega, probably not the last ! I have the 3Ltr Hydro pack but needed a larger pack to hold waterproofs when on the bike and personal valuables when off and walking about. The 20Ltr is great and can by cinched in to reduce bulk when needed. Harness is as per the Hydro pack and once, on you quickly forget it is there. I use my 3Ltr bladder with it, perfect fit and function. Incredibly well made and waterproof, beats the normal backpack i was wearing especially in the rain, my first Kriega bag but definitely wont be my last, and will definitely be my first choice from now on. Comfy to wear and fits nicely over any of my gear without issue and is always comfortable, the quadlock chest strap makes all the weight be displaced and makes it feel like there's nothing on your back at all. 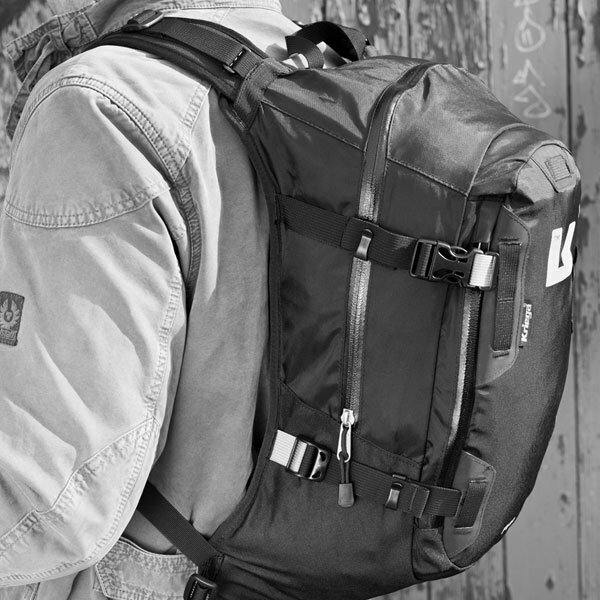 Well made and great quality materials used in this rucksack. Forget that it's on when riding, just what you want!! Completely waterproof and a well made bag. I have traveled 11 miles in pouring rain to work and I have had no issues with water getting in. I manage to cram quite a bit into this bag so I cant complain about the size. Nice and easy to put on wearing bulky bike gear, comfortable and appears to be ruggedly made. A range of sizes available but this one suits me for every day use. My 2nd Kreiga rucksack, had the last one over 10 years and still working perfectly. Wanted this one in a smaller size. Expecting it to last just as well, great quality. 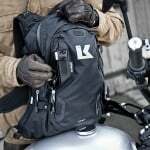 The R20 has been designed specifically as an 'active' riding pack with our unique Quadloc-lite harness system. 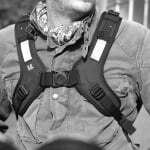 The harness is angled away from underarms for total freedom of movement and once set, the pack is exceptionally convenient to use with none of the harness re-adjustment necessary on conventional harness systems. The size adjustable harness allows the pack position to be moved up or down to produce the best possible fit. The R20 can be worn with or without a waist strap. The waist strap is not really necessary for street riding. No,there is not a back protector with this item.